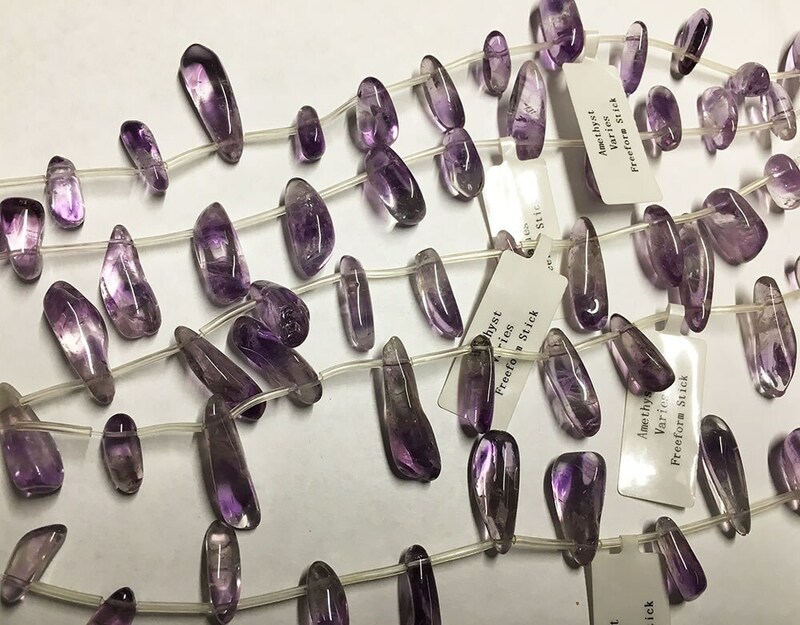 Amethyst freeform sticks measuring 12 to 30 mm. You'll get about 12 beads per 8 inch strand. Lovely purple color and nice variation in size and shape. Size on each strand varies. Sorry cannot pick out particular sizes, but you'll love the natural shapes and sizes! Beautiful!